David Gandy - the perfect example of how to work a traditional jacket. Sometimes I really do wonder where all the well-turned out men have disappeared too, NOT that I dont love a MOODY dark urban sporty creative style!! . I just sometimes miss the days when our men took real pride in what they wore, decking themselves out in elegant and chic sartorial creations. 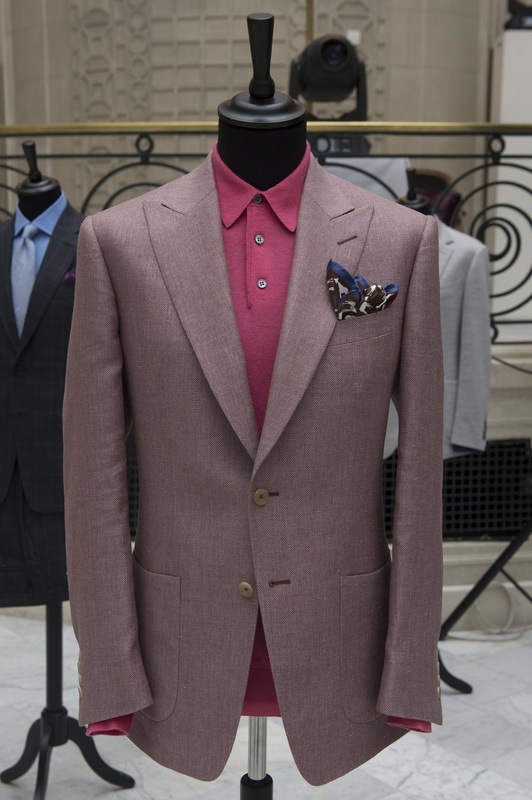 Well, not quite gone altogether, as Chester Barrie’s ss17 collection demonstrates, there are still some men who like their wardrobe luxurious, sophisticated and exquisitely tailored. 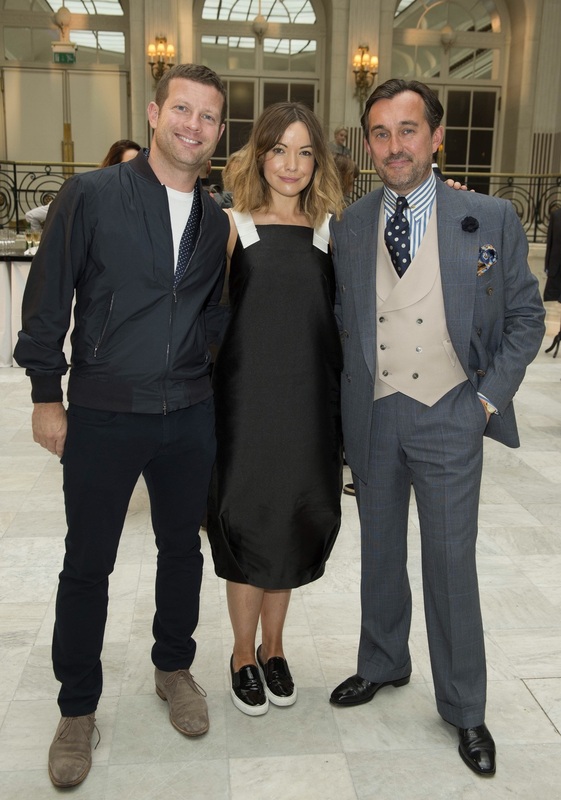 The collection is inspired by the traditional formalwear of a British summer, and while the pieces are quintessentially British, they do hint at a more contemporary twist, making them perfect for a younger generation, with a penchant for old-school classics. Chester Barrie - dusky pink. The pieces are made from luxuriant wools, silks, and linen blends in a subtle, yet effortlessly stylish and sophisticated tones of gray, blues and whites with tinge of on trend dusky PINK. 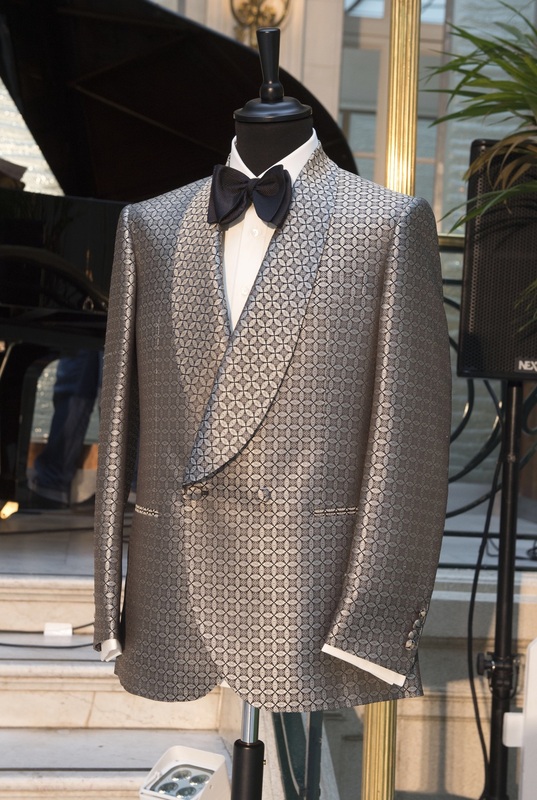 Single breasted shawl collared jacquard dinner jackets. 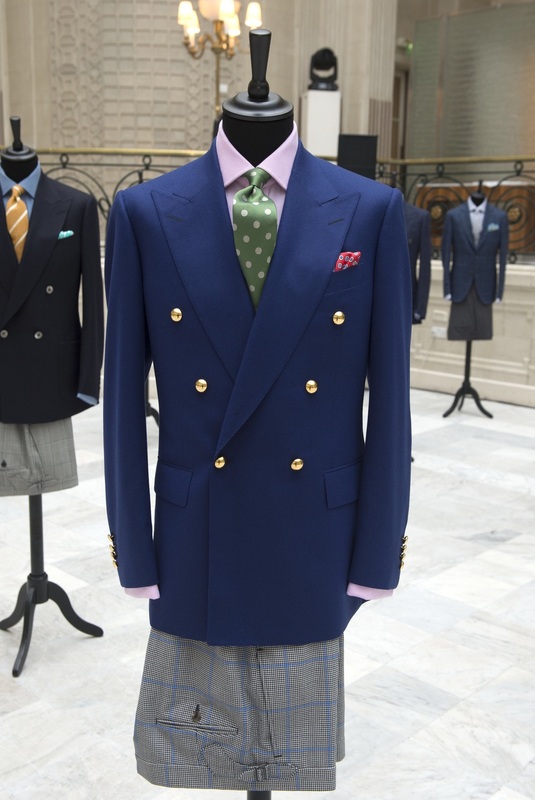 I absolutely adored the exquisite single- and double-breasted silk jacquard dinner jackets in teal and black, and the stunning range of suit separates, which can be mixed and matched for more versatility.